Why Do So Many Baby Dolphins Die In Captivity? A one-week-old dolphin calf born at a dolphinarium in Finland died this week, marking the latest in a string of over 10 dolphin calves that have died since the facility's opening in 1985. The Finland Times reports that the Tampere Särkänniemi Dolphinarium announced the unexpected death. "Nothing abnormal was detected, the calf fed and was growing well," said veterinary doctors Sanna Sainmaa and Pirkko Syrjäläinen in a release, though a pathological examination has not yet been conducted. While the Tampere Särkänniemi Dolphinarium's track record with dolphin births is dismal, it's not the only one. But according to the National Marine Fisheries Service's Marine Mammal Inventory Report, more than half of the captive dolphins in the inventory died before they were 10 years old. Just last year, the first dolphin born in captivity in the Philippines died after just one week. 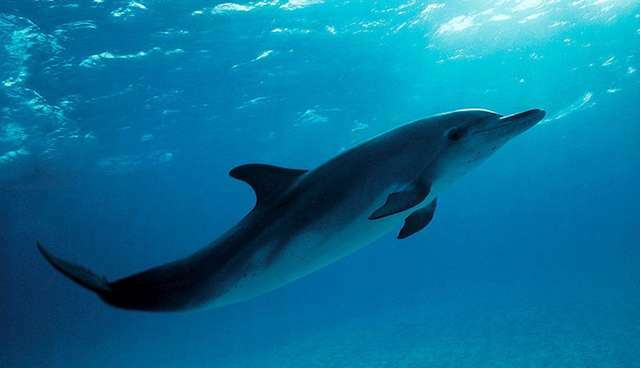 A month later, a newborn dolphin died suddenly at the Brookfield Zoo in Chicago. In 2011, two two-month-old dolphin calves at the National Aquarium died within days of one another. A six-day-old calf at the Shedd Aquarium also died that year. Of course, dolphins die prematurely in the wild - in fact, it's extremely difficult to get a handle on the mortality rates of calves in the wild, because some calves die before they are even observed. When young captive dolphins die, the usual explanation from marine parks and aquariums is that it's a result of "natural" causes. At the same time, one of the very tenets of the "superior veterinary care" of these facilities is that animals are protected from the harsh and unpredictable threats faced by those living in the wild. Dr. Naomi Rose, a marine mammal scientist at the Animal Welfare Institute, told The Dodo that this point is a crucial one to understanding dolphins' lives in captivity. "Infant mortality occurs for reasons – it's not just some inherent weakness in some calves," she said. "In the wild, they die because of predation or pollution or poor prey availability for the mother or some natural phenomenon separating the mother and calf (like a hurricane) or net entanglement or something." In captivity, animals are monitored constantly by staff and veterinarians, and are given all the food they need. Pollution, entanglement and other threats are nowhere to be seen. So why do calves die so often? "The industry can't have it both ways – either captivity is a protected environment and therefore deaths of young animals should be a rare occurrence and only because of something unusual...or else whenever a young dolphin dies, it's just a ‘normal part of life.'"